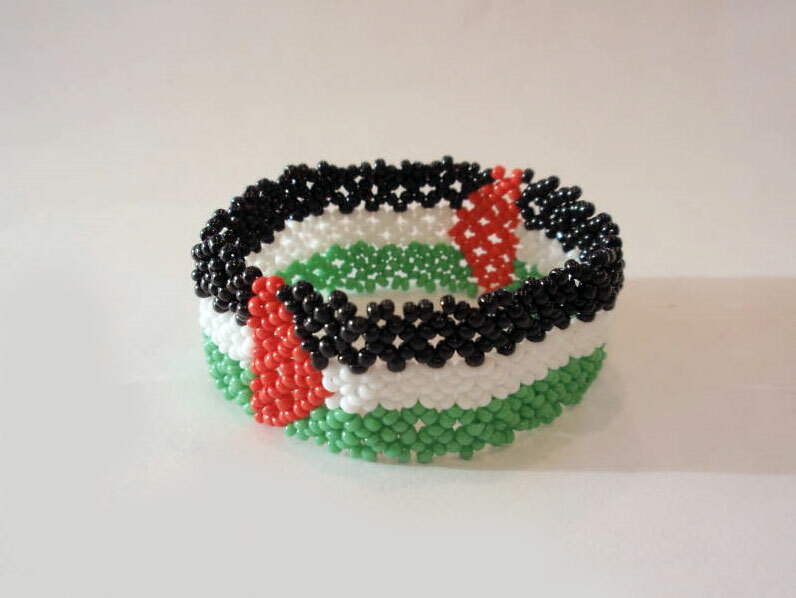 Beaded wristband featuring the Palestinian flag. Palestine wristbands, perfect for expressing solidarity with the Palestinian struggle. Made in China, but purchased from the stores in Hebron (Al-Khalil). Discounts available for quantities of 24 or greater.